A speech and language therapist is an expert in disorders related to communication. In this health career role, a speech and language therapist will provide assessment, diagnosis and treatment for people who have difficulties and issues with their speech and language. By helping these people to communicate more comfortably and effectively, a speech and language therapist facilitates a greater level of confidence and success in daily living. One challenging aspect of a career in speech and language therapy is that clients will come from a diverse range of backgrounds and will also include people of all ages. However, more than half of those who seek help from a speech and language therapist are children, which means that a speech and language therapist must be skilled and comfortable working with this particular age group. People who seek treatment may stammer or struggle to make the normal sounds of speech. They may also have problems understanding language or they may suffer from voice impairments. To train in this health field, you will take a three or four year undergraduate degree course. There are many programs at universities across the United Kingdom – all accredited and reputable training programs. Subjects you will take include the sciences, anatomy, psychology and various other behavioural sciences. 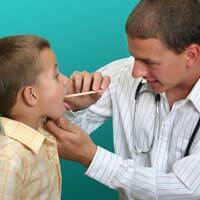 For those who have already obtained a degree in another relevant health career area, you may be able to become a speech and language therapist through a graduate level course that has the required practical training for the career. The practical component is crucial to your success in training to become a speech and language therapist. You might undertake practical health career training in a hospital, school or another community setting. Even after completing your studies and registering with the Health Professions Council (HPC), you will still continue training periodically as you receive continuing education in the field. This ongoing education allows you to stay on top of the newest research and development in all aspects of communication disorders. Since you will be focused on communication skills when working with your clients, you must be an excellent listener and you should also have highly developed and successful communication skills. To excel at facilitating speech therapy, you need to have an empathic, non-judgmental and warm attitude and manner because you will be dealing with clients from many different backgrounds and age groups. Communication disorders can be very embarrassing for people, whether they are children or adults. Your sensitivity and care in working with these challenging issues will allow you to become successful as a speech and language therapist. Good problem-solving skills are also essential to the position, as is your ability to motivate your clients to make changes to their communication during speech therapy. Not only that, but you need to be patient because change is not an immediate thing for a client who may have been trapped in a difficult communication pattern for many years. The demand for highly trained speech and language therapists is excellent right now and you can enjoy a stable career as a speech and language therapist. You may, however, eventually choose to work independently from your own practice, as many speech and language therapists choose to do once they have gained important experience within the National Health Service (NHS). When you think about how vital it is to communicate well, you can see how a problem with speech or language can have major negative social, personal and professional consequences for a person. By training to become a speech and language therapist, you will be opening the door for clients to communicate more effectively and live their lives to the fullest. What are the dangerous aspects of being a speech therapist?